Sebastian Vettel has finished top of the timesheet on the final day of tyre testing at the Yas Marina circuit – the last on-track action until February. 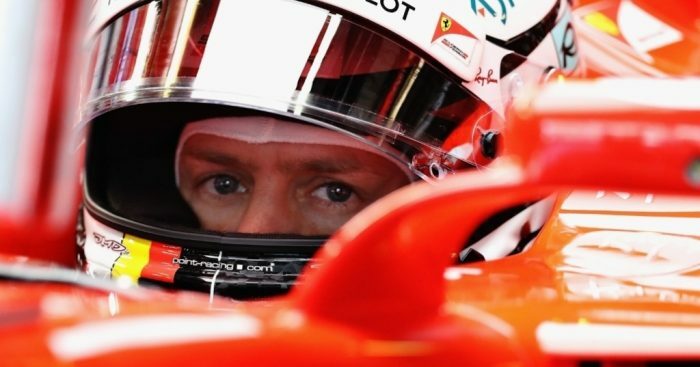 The Ferrari driver set a best time of 1:37.551 in the morning session, two tenths quicker than Kimi Raikkonen managed on Tuesday, and racked up 117 laps in process of testing a variety of new tyres including the 2018 pink-striped hypersofts. Valtteri Bottas improved to P2 and to within one second of Vettel in the afternoon, on a day where he completed 141 laps in the W08, whilst Max Verstappen also surpassed a century of laps on his way to third. Sergio Perez and Esteban Ocon split sessions in the Force India garage and finished P4 and P5 respectively and Carlos Sainz rounded off the top six in the Renault. A certain Robert Kubica returned to the Williams FW40 for the final two hours of the session and rose to P7 with a best time of 1:39.485. That was 0.095 seconds quicker than Lance Stroll’s best on Tuesday after testing out some of the softer tyre compounds. It was also half a second quicker than Sergey Sirotkin in P10, who took on the bulk of the work at Williams on the final day. Sandwiched in between the two Williams drivers were Stoffel Vandoorne in the McLaren and Haas’ Kevin Magnussen. Charles Leclerc completed the most laps, 149 in total, on his way to P11 in the Sauber. Lando Norris (McLaren) and Brendon Hartley (Toro Rosso) completed the timesheet.